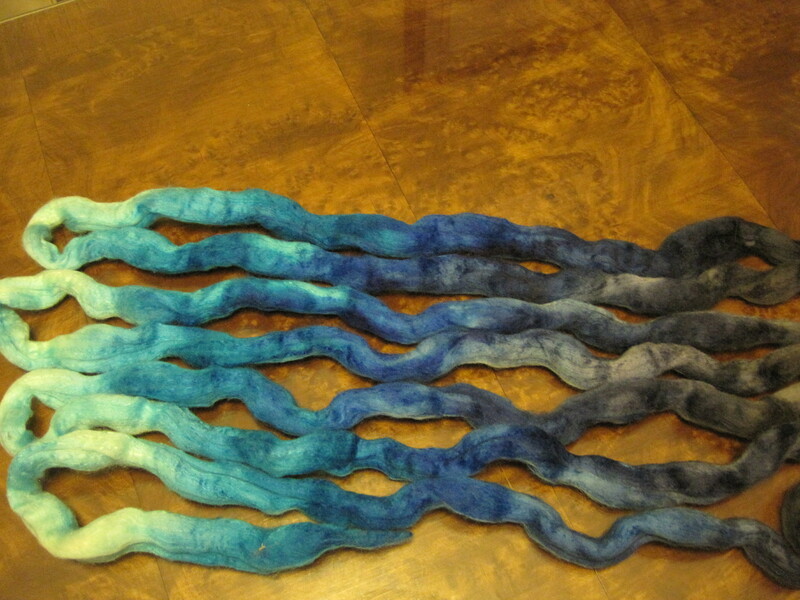 I first split the roving in half lengthwise, then laid each half in a lazy S to determine the way it was dyed. I then split it where each piece “turned”, splitting at the lightest and darkest ends. I spun each half of the roving, using all the lightest fibres first, then the next colour, then the next, ending with the darkest colour. 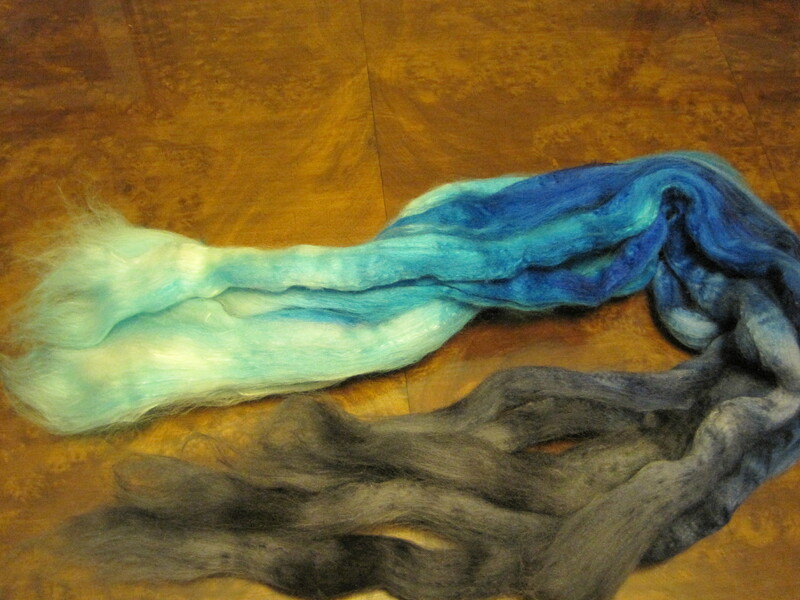 Spinning was a fine short backward worsted draw. The two bobbins were plyed together and the colours matched up nicely. Resulting in a beautiful gradient cake of gorgeousness. The cake is 484 yards of two ply luxury. 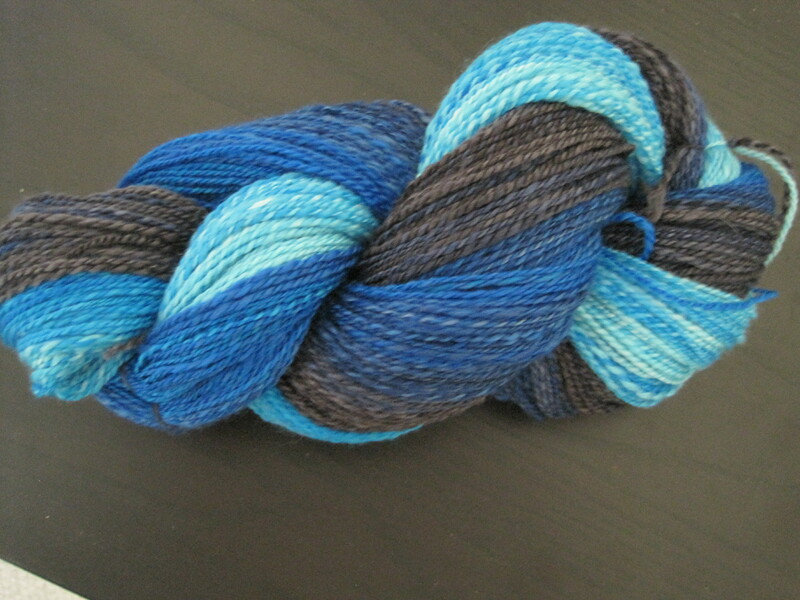 It’s going to make a very pretty shawl. 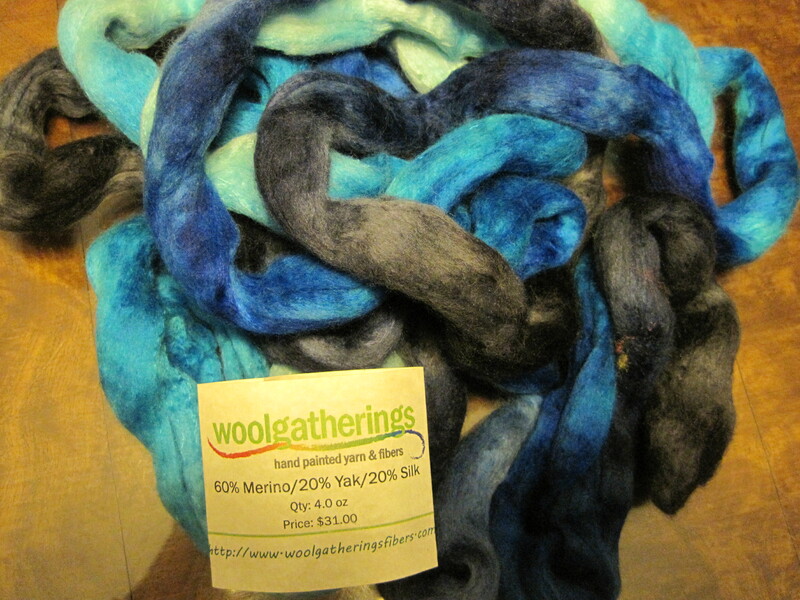 This entry was posted in Spinning, Spinning and Yarn shops and tagged colour, handspun, Merino, Silk, Spinning, Spinning wheel, yak. Bookmark the permalink. Love those blue colours. Your shawl should be stunning. 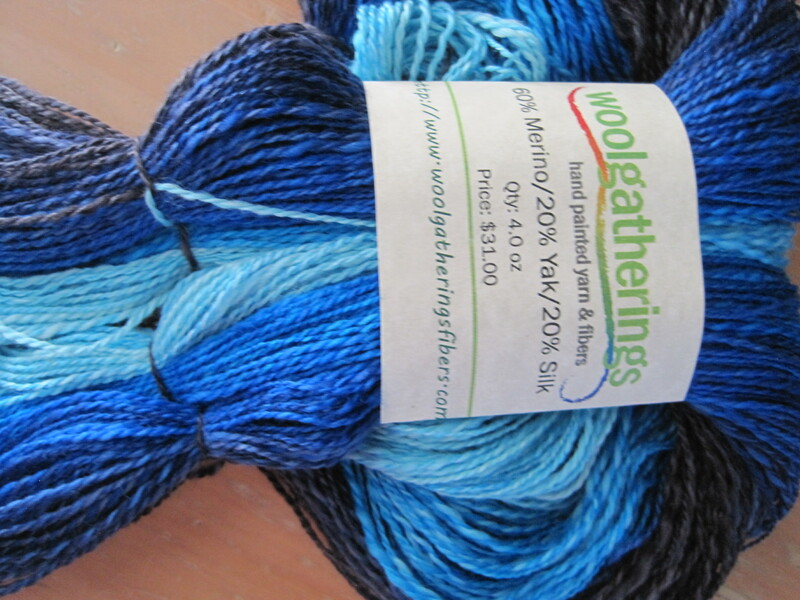 Thanks, Vicki, Can’t decide if it will be a knit or woven shawl, but I will show you when it is done. How gorgeous! It’ll be great fun to see what you make with it! 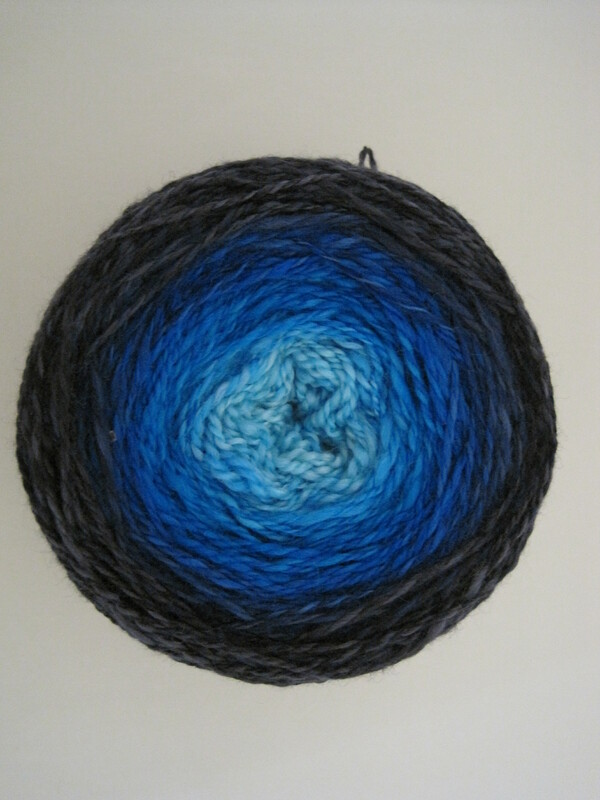 Right now the yarn cake is on the edge of my desk, where I can admire it as I work. It is pushing me to skip the project line-up and jump to the front of the line.